Does anyone know of Americans who studied TCMA earlier than 1959? William Wyney was an american who studied taiji at the Beijing Physical Educational school in 1918. He trained under Wu Jianquan. He appears in one of the school photos. This article has some commentary on Ma Yuehan’s efforts to introduce Xing Yi to a western audience in the US in 1926. Doesn't mention students though. This one talks about two chinese students practicing Kung Fu at Springfield College in 1917. 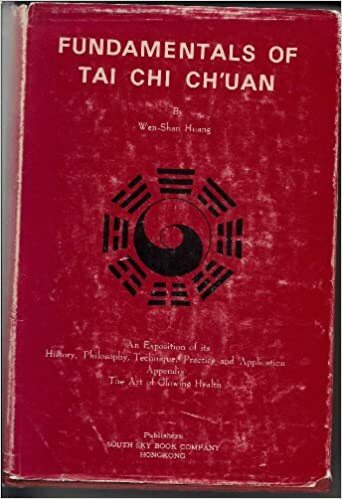 It's also said that Fairbarn trained with Cui Zhendong (Yin Baguazhang) when he was at the Shanghai Municipal Police in the 1920s and incorporated some of that into his Defendu system. Last edited by zrm on Tue Apr 02, 2019 5:52 pm, edited 1 time in total. Bill wrote: Does anyone know of Americans who studied TCMA earlier than 1959? It was said he could bend an American coin .25 cent and could break any break in a stack of 3 un spaced. Novak also began studying with T. Y. Wong in the Sil Lum Fut Gar (少林佛家a.k.a. Shaolin Buddha Clan). "We used to have a school in San Francisco, 142 Waverly Place. That's where I started with the Sil Lum system, where I took Fut Gar with Jimmy Lee. We used to go down in the basement and train. It was 1958 when I met Jimmy Lee and I started brick breaking." 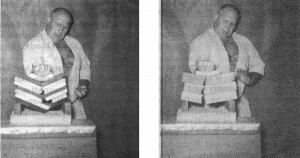 Novak first saw Lee's brick breaking demonstration at one of Grandmaster Wally Jay's martial arts luaus. Jay, the founder of Small Circle Jujitsu, had asked Novak to be a bouncer at his gathering. 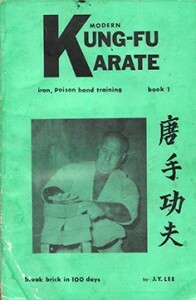 Al Novak was one of the first non Chinese to learn kung fu in the late 1950's. Previously he had already learned judo and karate and he was allowed into the Chinese secret societies before anyone else due to his high degree of integrity. A student of legends like James Yimm Lee and Prof. T.Y. Wong, he worked with Bruce Lee in Oakland and was ever present in the Northern California tournament scene due to his work as a judge and a medic in virtually every tournament in the area. His brick breaking iron palm power was legendary and awesome to witness. For a large man, he moved with surprising speed and grace when doing his kung fu forms. Last edited by windwalker on Tue Apr 02, 2019 6:53 pm, edited 3 times in total. Now that is a pleasurable blast from the past. She had classes at the U.N. for a time. Hers was the first tcc book in English, no? there was an norwegian lady around the same time as Delza ? learned Wu-taiji in china and later taught in england i think it was ?? ..... seem that it was not too difficult for westerners to be accepted into CMA's schools in china in those days, especilly into Wu-taijiquan. 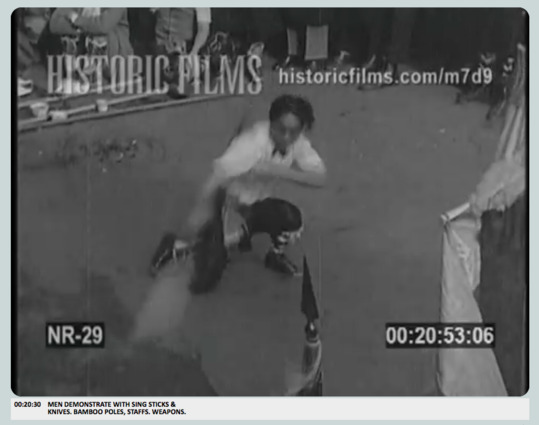 Excerpt from "Through a Lens Darkly (56): New York City’s Kung Fu and the Roaring 1920s:"
While conducting a search for Chinese newsreel footage of martial arts practice during the Guoshu decade (1928-1938), I stumbled across something much more valuable. I found perhaps the best preserved and oldest footage of North American Southern Kung Fu practice that I had yet seen. Even better, it was shot on the same New York City streets that my wife and I had recently explored. . . .
At minute 19:42 viewers will encounter footage of a New Year celebration which happened on January 10th, 1929. 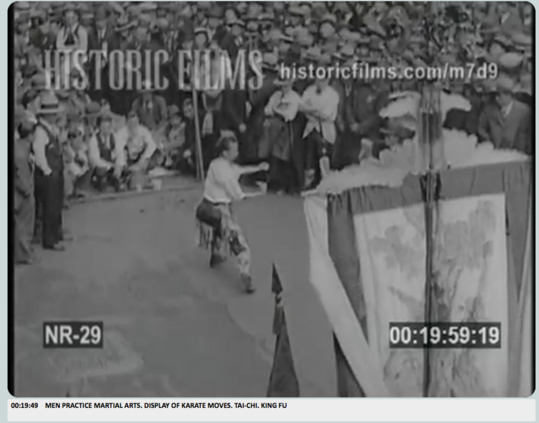 In addition to the more common scenes of enthusiastic crowds, fireworks and Lion Dancing, two minutes of footage was also shot of the sorts of martial arts exhibitions that accompanied these festivals. While such exhibitions are occasionally noted in period newspaper reports, this is the most complete visual record of such a performance (in North America), that I have yet encountered. This material rewards a close examination. None of this footage has been narrated, nor are there scene cards. As such I suspect that most of this material was probably treated as “out takes.” Still, it’s a rich source. While we might lament that we only have two minutes of material, by the standards of a 1920s newsreel, two minutes is an eternity. This footage is composed of a series of much briefer clips (most ranging in length from 10 to 30 seconds) which focus on the performance of individual martial artists, all performing on a single day in what appears to be the same crowded outdoor venue. In total 11 sequences are shown, each focusing on some sort of forms performance. Both unarmed and weapons sets are represented in the sample, as well as a few two-person weapons sets. (For the sake of clarity this post is discussing only the martial arts demonstration, and not the excellent Lion Dance footage found on the same newsreel which probably deserves specialized treatment of its own). If we assume that most of these sets could be introduced, set up and performed in about two minutes, it seems that the original demonstration was at least 22 minutes long. Even more remarkable is that very few individuals (maybe one or two) made any repeat performances in this show. Thus it took at least a dozen martial artists to stage this demonstration. Most of the individuals in the show were wearing regalia suggesting that they had just come from (or were headed to) Lion Dancing. The standard uniform appears to have been a white shirt, black bowtie and Kung Fu pants, but a number of individuals can also be seen to wear the typical street clothing of the period. All of the performers in this film are male (though I have seen newsreel footage of female martial artists in NYC in the 1930s). Some are dressed as common laborers, while other have the air of shopkeepers or clerks. I know YK Chen's book was published in 1947 or 48, but I'm not sure when it was translated into English. I should look for my copy now. I didn't see Chen's book until the 70s, but I knew of Delza's in the 60s. (I just picked up a copy on amazon for 5 bucks, just cause ). The guy in white was one of my teachers. Believe it or not, he taught at a Buddhist temple in the Bronx.